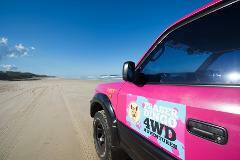 Fraser Dingo 4wd Adventures, One day self-drive 4wd hire priced for 5 people Running Short of time? Want to see a dingo? 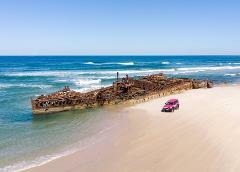 Want to See the best of Fraser Island for less? Want to experience how to 4wd? Then this is the option for you! 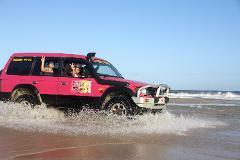 If you want to getaway Fraser Island with a group of friends or family save money and have the freedom of your own 4wd, then a self-drive Group 4wd Hire is for you. Priced for max 5 people. Priced for max 2 people. 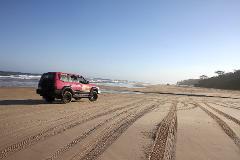 If you want to getaway to Fraser Island with your partner or friend, save money and have the freedom of your own 4wd, then a Fraser Dingo 2 day 4wd Adventure is for you! If you want to getaway to Fraser Island with a group of friends, save money and have the freedom of your own 4wd, then a self-drive Group 4wd hire is for you! Priced for max 4 people see options for 5 or 6 pax. Add an extra day for extended 4wd hire if your booking over 4 days, please book an extra day for each date your staying longer.